Healing touch (HT) is therapeutic touch (TT) with touching. Despite the name, TT practitioners wave their hands above and around the patient's body, but do not actually make contact. HT involves actually touching the patient in various places. Both are forms of energy healing, which in turn is a form of placebo treatment. In the case of healing touch therapy, the healer gently touches the patient, allegedly influencing energy that is believed to be within and around each human body. (Surgical wounds are not directly touched. A gentle wave, as in therapeutic touch, over the wound suffices.) Illness allegedly disturbs this energy and the healer believes that her touch will help restore balance, harmony, equilibrium, etc., to the "human energy system" and thereby promote self-healing by the patient. This belief is based on faith rather than scientific evidence. Advocates may think that the many satisfied customers of HT is proof positive that HT works, but the testimonials show only how powerful the placebo effect can be and illustrate why randomized, controlled trials (RCTs) are necessary to avoid self-deception regarding the efficacy of some treatment or therapy. To her credit, Turner started an RCT at Stanford University in 2007 to prove the effectiveness of HT. The design of the RCT, however, indicates that those running the trial do not understand how complex the placebo effect can be. Turner's Stanford University study pits breast cancer patients receiving chemotherapy who get HT against those who listen to relaxation tapes and those who do nothing. The study will measure effectiveness in reducing "the debilitating effects of chemotherapy on breast cancer patients. "* Unfortunately, the study design is fatally flawed. The study was designed by Turner, who is director of a group called Healing Partners, which "has paired more than 100 breast cancer patients with healing touch providers since the free program began ... [in 2004] at Stanford. "* The program has many satisfied customers. The Stanford program "was modeled on two similar programs: Bosom Buddies at the Queen’s Medical Center in Hawaii and Healing Buddies in Denver." Certainly, the majority of scientists at Stanford University know that it is ridiculous to assume that people are ill or in pain because of energy imbalances and that energies are being manipulated by therapists, allowing bodies to heal themselves. They know bodies heal themselves regardless of whether somebody touches them or waves her hands over them. They know these alleged energies are based on ancient superstitions from places like China and India. They know these ideas developed long before anybody had any idea of how the human body works, long before the development of physiology, anatomy, or scientific medicine. So, why would a prestigious university like Stanford promote and support such quackery? Because it works, as is evidenced by its many satisfied customers and therapists, because other universities are doing it, because alumni or wealthy donors demand it, or because agencies like the National Institutes of Health will give them money for their efforts. It would be very unlikely that people promoting HT would design a study that could prove it works by the placebo effect. They have too much invested in the metaphysical notions that prop up energy medicine to develop such honest work. Can one really imagine anyone saying to all the satisfied customers: "Well, we did a scientific study and we have shown that your improvement and satisfaction have nothing to do with energy manipulation." I can't. They don't need to. I can tell them right now that their study makes no effort to rule out the placebo effect as accounting for the satisfied customers. I don't deny that designing such a study would be difficult. How do you give people fake touching? I don't know. In any case, all this study can show is that healing touch gets more satisfied customers than relaxation tapes or doing nothing. What it can't show is that the effects of healing touch are not due to placebo effects. For all these nurses know, a few hugs and a few words of encouragement would work just as well. Since the results of the study are not in, there is no published paper that describes how often the patients got their treatment, how long the study went on, what tools were used to measure effectiveness, etc. But none of that really matters since the study wasn't designed well to begin with. In my view, the same kind of positive effect could be achieved without deluding people into thinking the treatment has anything to do with mysterious energies that trained experts know how to manipulate. Why not just call it a relaxation therapy? HT was the brainchild of a nurse in Colorado named Janet Mentgen. 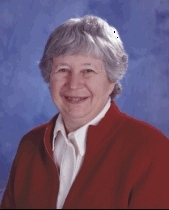 In 1990, she created a certificate program to teach HT to others. In 1993, she opened The Colorado Center for Healing Touch. In 1996, she founded the non-profit organization Healing Touch International, Inc. The following year she established the Healing Touch Worldwide Foundation, Inc., another non-profit. By the time of her death in 2005 she owned Healing Touch Program™ and had transferred the ownership of the Healing Touch Program™ to her children. The program is used in hospitals, hospices, clinics, schools of nursing, and long-term care centers throughout North America, Central America, South America, Europe, Africa, Australia, Asia, and New Zealand. To be so successful, HT must have many satisfied customers, but so do acupuncture, homeopathy, Ayurvedic medicine, and many other energy therapies that work by the power of suggestion, relaxation, and other aspects of the placebo effect. In the eighteenth century, Franz Anton Mesmer stumbled upon the basic principles of placebo therapy. He soon had the ladies of Paris convinced that he could heal them of all their ailments by tapping into a force or energy he called “animal magnetism.” There’s as much evidence for animal magnetism as there is for the energy allegedly manipulated by HT therapists. Mesmer just waved his hands in the air and the ladies could feel the healing energy. King Louis XVI commissioned the French Academy of Sciences to investigate Mesmer and his claims of miraculous cures. In addition to Benjamin Franklin, the investigating committee included Antoine Lavoisier, Paris mayor Jean Bailly, and Dr. Joseph Guillotin, inventor of the guillotine. The commission reported that there was no scientific evidence of magnétisme animal and that the cures attributed to it either happened because of the natural history of the disease or were due to self-delusion. We now know that many such cures are due to a complex network of events known collectively as the placebo effect. Studies have found that, in addition to psychological and subjective effects, there are measurable physiological effects that can be triggered by such things as the belief of the patient in the potential effectiveness of the treatment, the clinical setting with its professional—and presumably knowledgeable—healers, the strong desire on the part of the patient for the treatment to be successful, the removal of stress by relaxation, and the desire of the patient to please the healer. Healing touch may open the door to feeling better but Ignorance of the placebo effect is an open door to quackery. See also alternative health practice, chakras, chi, frontier medicine, prana, vitalism, and Energy Healing: Looking in All the Wrong Places by Robert Todd Carroll. Study: Hugs warm the heart, and may protect it "In the study, 100 adults with spouses or long-term partners were told to hold hands while viewing a pleasant 10-minute video, then asked to hug for 20 seconds. Another group of 85 rested quietly without their partners. Blood pressure soared in the no-contact people. Their systolic (upper) reading jumped 24 points, more than double the rise for huggers, and their diastolic (lower) also rose significantly higher. Heart rate increased 10 beats a minute for those without contact compared with five beats a minute for huggers"